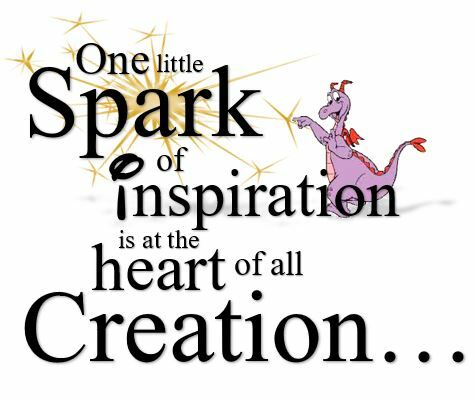 Sparks of Inspiration: It's Here! It's Here! It's Finally HERE!! I'm so proud. 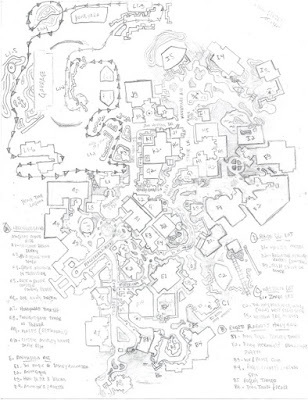 But don't be getting spoiled now, because odds are the vast majority of the time you're not going to be looking at maps as clean and precise as the one RandySavage fixed up for me, though I can promise to add some of my rough sketches like the one above. Also, I have plans to improve The Walt Disney Studios Themepark, including a Star Wars land, a Rupunzel sub-land, and an all new Auto-Stunt ride! Hopefully I'll get around to posting that stuff soon, but in the mean time be sure to check out some of RandySavage's other posts, and remember to check his site, www.idealbuildout.blogspot.com, at least once a week for new and exciting theme park layouts as magnificant as the one above!